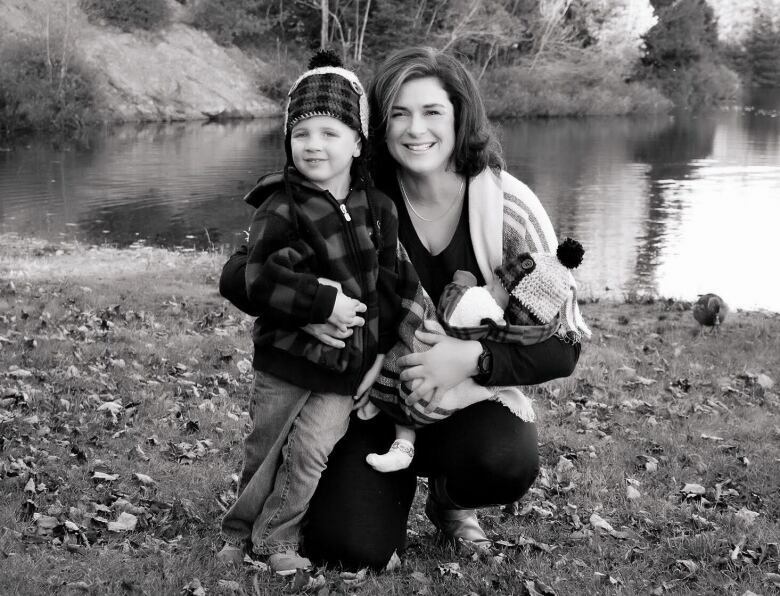 Erika Nelson gave birth to her son Beauden in Saint John in October, the only one in her circle of friends and acquaintances she can think of who had a child last year. Erika Nelson gave birth to her son, Beauden, in Saint John in October, the only one in her circle of friends and acquaintances she can think of who had a child last year. "I racked my brain. Do I know of anyone else who had a baby in 2017 and I can't think of anyone — in the actual year of 2017 — no one," Nelson said. "Financial, biological, whatever the reason may be, there's less and less babies and I see it, too." Erika Nelson, shown with son Lennox and newborn baby Beauden, says she is the only one in her circle of friends and acquaintances she can think of who had a child last year. (Ashley Daigle/Submitted)Nelson can sense in her community what researchers have been documenting for several years. New Brunswick babies are in increasingly short supply. Last month, Statistics Canada reported 6,673 children were born in the province in 2017. It's the lowest number the agency has recorded since its modern post-war count began in 1946 and the ninth year in a row the number has fallen to a new low. 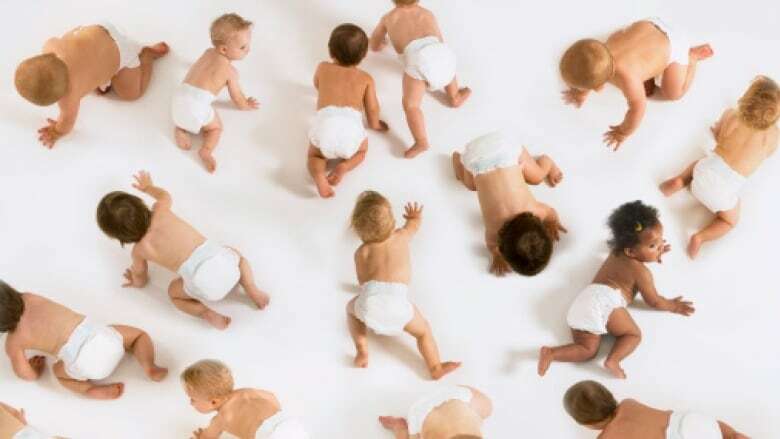 Elsewhere in Atlantic Canada birth rates have been showing signs of bottoming out but in New Brunswick they continue to tumble — falling 6.3 per cent since 2011, the biggest decline in the country by a wide margin. 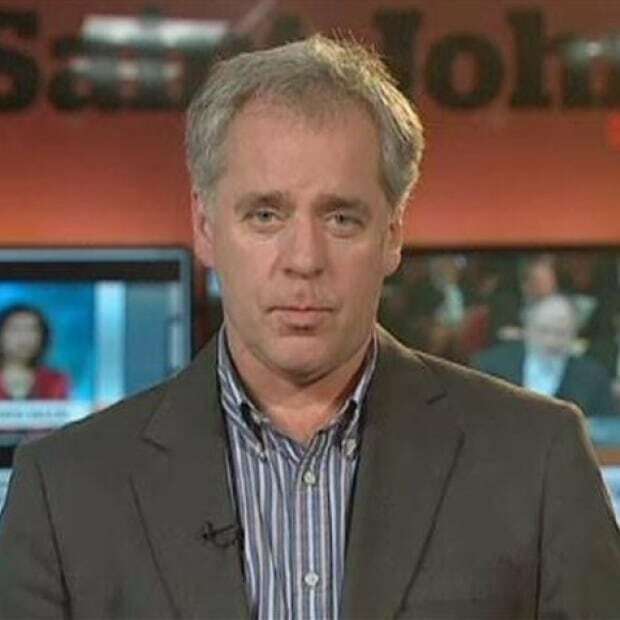 Population expert Michael Haan says babies are in short supply in New Brunswick because thousands of young people who should be having them here have moved away. (Submitted)Over the same period in the other Atlantic provinces, births are down, but only 2.7 percent and in the rest of Canada, they are up nearly four per cent since 2011. University of Western Ontario demographer Michael Haan says New Brunswick's problem isn't really about babies, it's about their parents. "You look at the distribution of the New Brunswick population by age category, and what you see is that there is a bit of a hollow spot right at the age where people tend to have kids," said Haan. In the largest migration from New Brunswick since the early 1980s, significant numbers of young people moved from the province before and after the 2008 financial crisis, and are now having their children elsewhere. New Brunswick lost a net 17,252 people to Alberta alone in the 12 years between 2004 and 2015, and Haan said many of them were young. It is their children who are now not showing up in provincial maternity wards. "It was these people (who migrated)," Haan said. "They were at the age where people tend to leave and move permanently, when they're in their twenties — particularly late twenties — so this was happening. Now five years later, the people that left are in their child-bearing ages and many of them are in other provinces having their children there." Mark Donovan knows exactly what Haan is talking about. 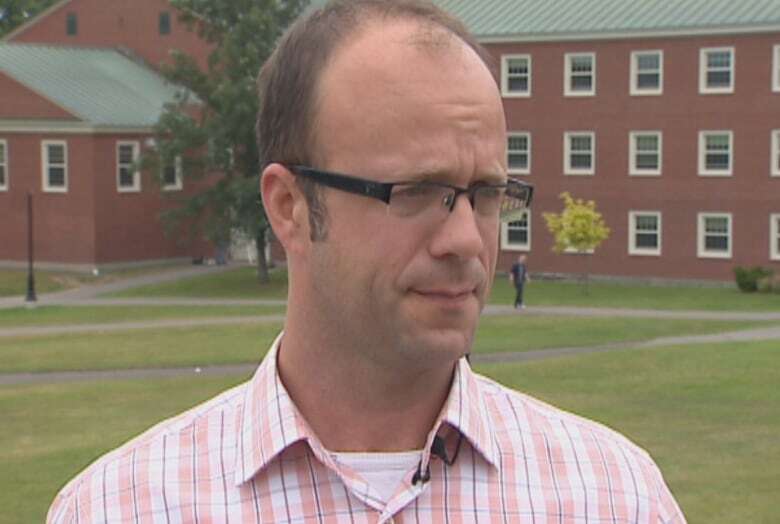 Donovan is the superintendent of New Brunswick's Anglophone North school district and is knee deep in problems created by young adults following employment out of the region and in many cases, out of the province. The district supervises 37 schools from Rexton up through Campbellton, an area that has struggled economically for several years. New Brunswick playgrounds are seeing fewer children as the province's birth rate continues to slide. (Robert Jones/CBC)"Industries did shut down one after the other, from the mines to the pulp mills to our sawmills A lot of people did leave quite literally," said Donovan. "Without that demographic in our towns and villages, of course the kids won't be there either." Last year in Anglophone North, students in Grade 12 totalled 870. That's nearly double the number of students in Grade 1 at 422, a sign of how serious the shortage of young children is becoming. Births used to be the main source of population growth in New Brunswick but that has halted completely. Last year, 656 more people died in the province than were born, a gap that has begun widening significantly. Haan said the province has to figure out a way to increase fertility rates, or to attract more immigrants or young people from other provinces. Otherwise, those still living here will have to make things work as best they can. "The short thing is we have to get used to negative population growth," he said. 'We can get rid of mandatory retirement and try to facilitate more years of working, to keep the working-age population stable. There is no silver bullet."